The Party Casino Conquest promotion begins today and the top fifteen positioned players on the Conquest leaderboard will earn cash as their reward with first place being $3000. Each day of the Casino Conquest promo there will also be a $500 draw and a $1500 on the final day for players who earn just one point while playing PartyCasino games. 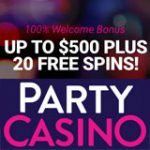 Download PartyCasino and use CODEBONUS as your Party Casino bonus code 100% deposit match bonus code up to $500 extra on first deposit. Each PartyPoint earned will help you on your quest to conquer the leader board get a good position before the end of the week and you could win big cash prizes while playing your favorite PartyCasino games. 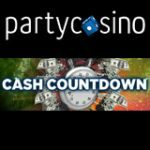 Just earn one Party Point at Party Casino between the Casino Conquest dates and you will automatically be entered into the prize draw for that day. One lucky player will receive $500 in cash daily up until the final day which has a $1500 Casino Conquest prize draw on the 24th February. 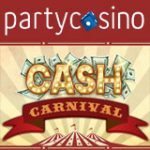 If you are new to PartyCasino check out our PartyCasino review and our PartyCasino Bonus code page for more information on how to install and clear your Party Casino bonus. 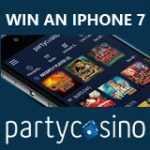 Select your PartyCasino bonus code for your currency when depositing at Party Casino. CODEBONUS - 100% deposit match bonus code up to $500 extra on first deposit. This bonus is for PartyCasino only. 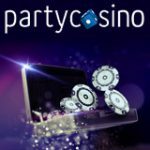 PCWAP - 100% match of first deposit at Party-Casino up to €500 added, bonus is for PartyCasino only. 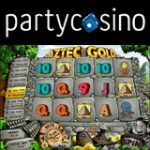 GBPARTY - 100% deposit match sign up bonus up to £500 added with your first real money deposit at PartyCasino as a welcome bonus.